(Newser) – Our founding fathers would have been horrified had we asked them to actually campaign for the office of the president, writes John Dickerson in Slate. Campaigning was seen—as Woodrow Wilson put it—as "a great interruption to the rational consideration of public questions." Not so anymore: Today's candidates are constantly campaigning, even once they're in office, but in truth this is a terrible way to select a president, Dickerson writes. People assume that good campaigners will be good presidents, but think about it—if that were true, all of our presidents would have knocked it out of the park. "Campaigns reward fighters," Dickerson writes, but "governing requires cooperation, compromise, and negotiation." Political ability: Can they actually work with their opponents to get a deal? "Are they comfortable with the schmoozing, backslapping, and ego-massaging that comes with the job?" Management skill: Are they able to adapt and admit errors? Can they put together an effective team? The power of persuasion: Can they give a good speech? Can they interpret public opinion and use it to their advantage? Temperament: How have they reacted in the face of a real crisis? A campaign lets us see whatever anyone can dig up, and tests it in the marketplace. A job interview, I'm afraid, just lets us see what the candidate, or the selection committee, wants us to see. Campaigns may not be perfect, but they are pretty good. 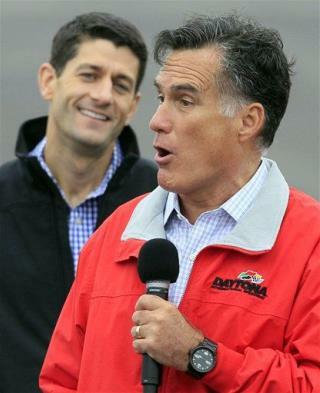 Think about how little we would know about Mittens if there were no campaign! And the President has done a pretty good job following up with qualities exposed during the 2008 campaign.